I recently evaluated the BladeTech WRS Level II as a possible duty hoster for my Glock 20 with extended barrel. This review contains my observations over a week of draw and dry fire practice with the holster. 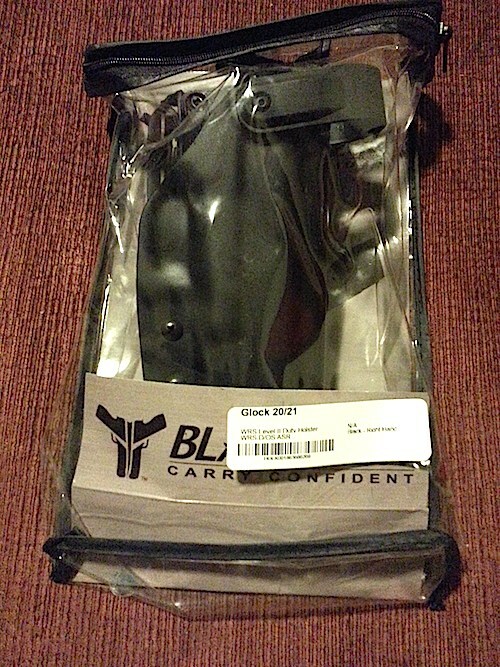 The holster was delivered on-time, based on the manufacturer’s shipping estimate and a photo of the packaging is shown, below. And, here is another photo that shows the very generously-sized thumb-lock. 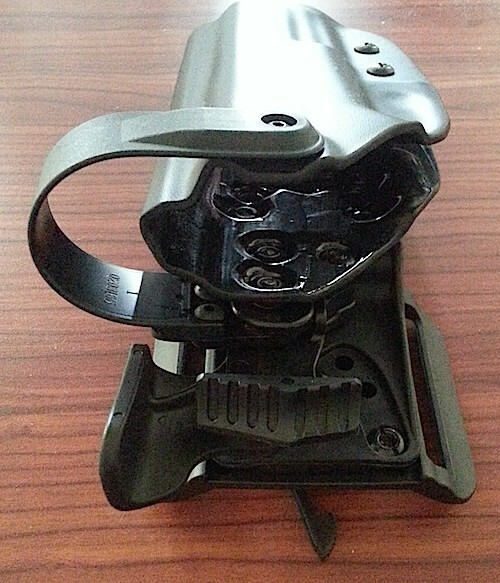 I first tried the holster on a standard duty belt. Without my vest, it fit perfectly. It was just a bit low with the vest on, but nothing that was outside the realm of a minor adjustment. I did like the fact that the holster fit rather close to the body, yet there was still adequate clearance for a shirt. The only thing I noticed with the draw is that the second level of retention is just resistance; there is nothing that locks the firearm in place. I did tighten the tension screws. Although it does take a straight pull out of the holster to remove the firearm, someone could pull the hood and lift the gun out of the holster. So, it impressed me as rather weak for level 2 retention. I do not know if my Glock being a Gen-4 made any difference. So, for sake of argument, I’ll call it level 1 1/2 retention. The overall feel and function of the holster was solid, and I really liked the closer-to-the-body position, so I decided to adjust it for my conceal-carry belt. This belt is a Tucker and Byrd 1 1/2 ” leather and is very thick, although most duty belts are thick, so I did not anticipate any issues. 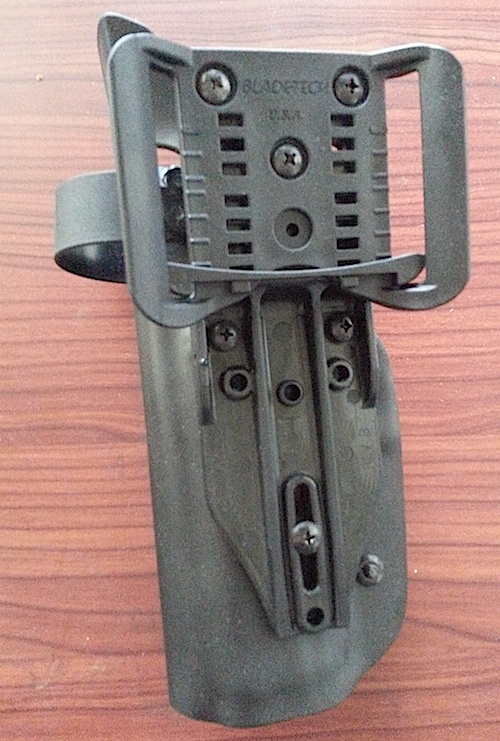 The adjustment involves repositioning a small, plastic guide in the back, as shown below. Notice that the plastic part is not in any of the slots. That’s because it came loose after only five practice draws. I popped it back in and tried again. It came out after six test draws. I suppose I could just glue it into the appropriate slots and have something that works for just one belt. Since I have a Safariland Model 295 for my open-carry duty belt, I’m inclined to only use the BladeTech for conceal-carry situations (with a suit jacket or sport coat) where i want a higher degree of retention.